I've chosen 'Birthday' as the theme for my card. I just love this image! It's cute and so much fun to color! I found a pink button in my stash that reminds me of frosting on a cupcake, so I had to use it along with some scraps of Basic Grey DP! 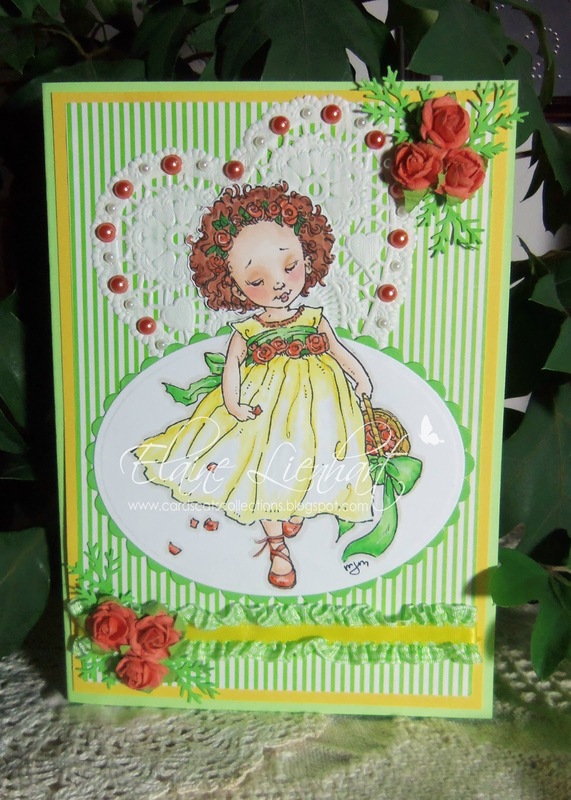 I think the card looks like a confection with all the pastels and frill! 'B' is also for basket, and this little cutie is holding one as she walks down the aisle. I'll be looking to see what you'll do for the letter 'B'! 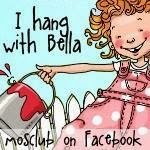 Have fun and enter Mo's Challenge for a chance to win a $5.00 gift certificate to Mo's shop! Both cards are gorgeous, Elaine! 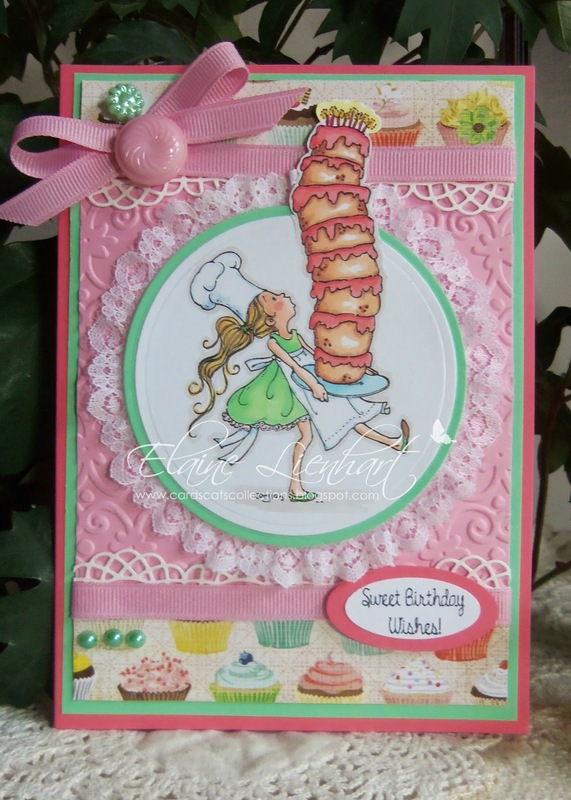 Love the papers and details and Mo's fun tall cake on the first one! I agree with Carla, both cards are beautiful. Love how the cake is popping out of the die cut. All that frilly pinkness is so pretty mixed with that great cupcake DP Elaine. Beautiful job on the image too. Hugs! Oh Elaine! Love both your card, they are too sweet :) Fab layout and embossing work on the first one and lovely colours on the second! Hi Elaine, two gorgeous cards sweetie! Wow, you always do such fabby cards I love them! Wow you did two cards. Amazing they both are beautiful. Great cards, Elaine! Especially on the first one I love the lace you arranged around the image and the lacy die cuts together with the ribbon. Gorgeous!